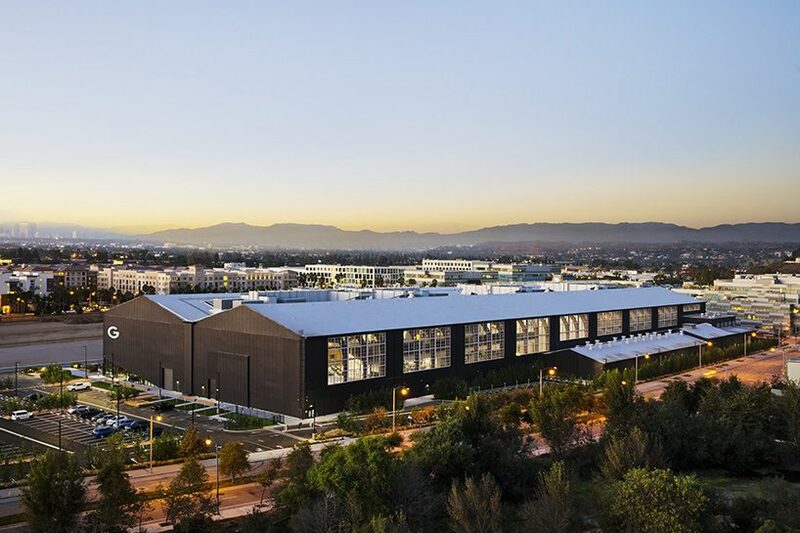 ZGF architects has transformed the historic spruce goose hangar into playa vista, google‘s latest office space in california. 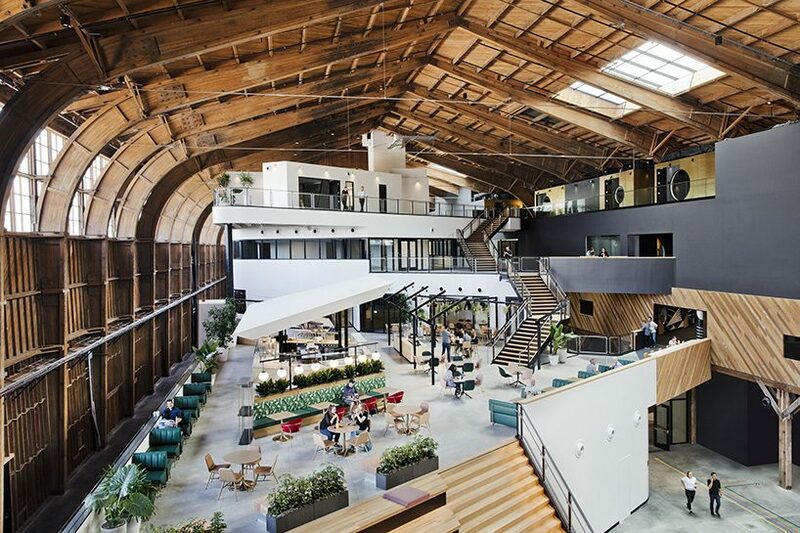 built by howard hughes in 1943, the 230-meter-long wooden structure has been extensively restored and now features a four-level ‘building-within-a-building’, comprising offices, meeting areas, food & event spaces, and employee amenities. 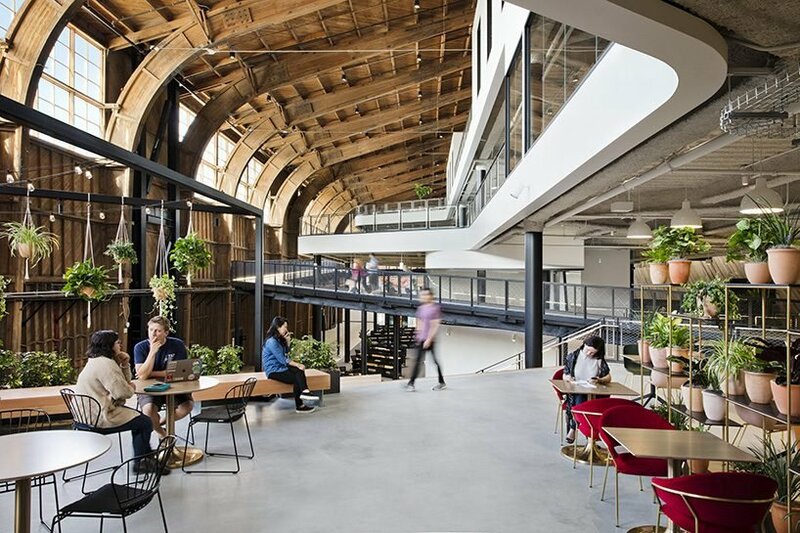 located between two existing google sites, the hangar acts as a unifying agent of the playa vista campus, while its adaptive reuse by ZGF takes into account both the rich history of the space and the organization demands of the client. the fully restored spine divides the vast volume lengthways, enclosing the new architecture on two open floor plates while maintaining clear sight lines that span the entire length of the building. 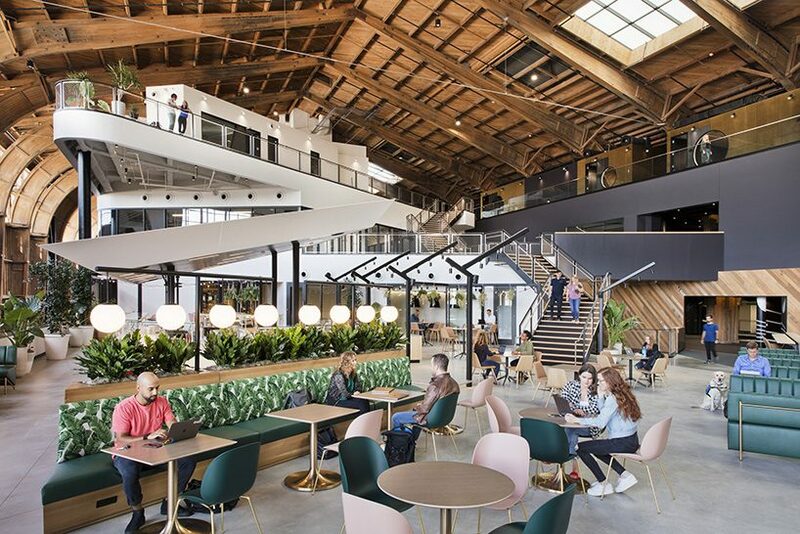 workspaces located on the new plates interact strategically with the collaboration and café areas housed on the central spine. a boardwalk which ramps upwards from the ground floor and wraps the perimeter of each floor plate is created to increase interaction together with bridges that pass through the central spine, weaving the length of each level. ZGF has complemented the wooden frame of the hangar with a subdued color and texture palette in bespoke furnishings and vibrant art installations. 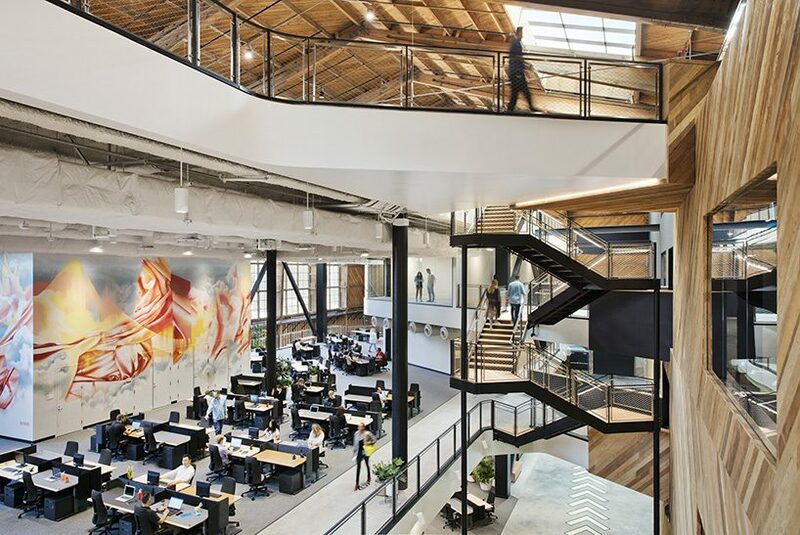 as a tribute to the structure’s aviation history, which was first built for the construction of the hercules IV airplane (aka the ‘spruce goose’), the phone, meeting, and conference rooms have been given airborne-inspired names and aesthetic themes, such as kite and zephyr.